In this modern business era promotional keyrings still remain one of the most favoured choices for advertisers wishing to enhance and broaden their brand appeal. Their low cost and practical utility ensures that they also remain one of the top selling promotional gift items of all time. At Clickpromogifts we have assembled a wide collection of stylish custom printed promotional keyrings to choose from, including top choices such as plastic keyrings and metal keyrings. 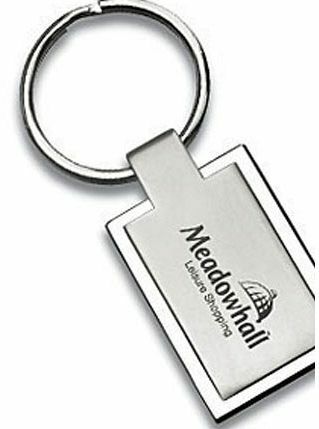 All our keyrings are manufactured to the highest of tolerances and can be custom imprinted with your business details and corporate branding. 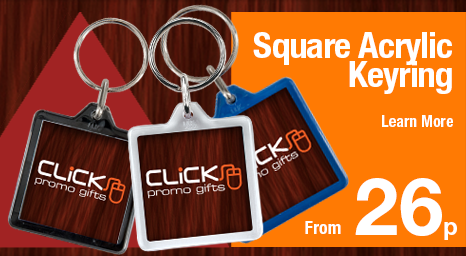 With hundreds of imprinted keyrings to choose from including plastic, acrylic, metal, leather and keychain lights all at massively discounted prices, Clickpromogifts remains the preferred promotional partner for businesses and organisations throughout the UK. Fill in a rapid quote form or call 0844 391 5760 and speak to one of our promotional keyring specialists today!